Over the forecast period of 2016-2026, the global market for electroplating will expand at a modest CAGR of 3.7% as strict environmental regulations will continue curtailing the use of this plating technique around the world. The US$ 14.6 billion market for electroplating is projected to rake in revenues worth over US$ 21 billion by 2026 end. Global demand for electroplating will continue to be adversely impacted by the stern laws & regulations imposed by several governments on large scale industrialisation of electroplating techniques. Global environmental legislations such as the Restriction of Hazardous Substance (RoHS) are prohibiting the adoption of electroplating due to ecological adversities caused by disposal as well as undue exposure to toxic metals such as lead or cadmium during in plating processes. Electroplating market in developed regions such as North America and Western Europe has reached maturity or a state of equilibrium after witnessing stagnancy in terms of growth in technological innovation and the supply-demand chain. Over the forecast period, growth in electroplating revenues in several parts of the world is projected to be a sluggish pace – below 5% CAGR. According to a recent study published by Future Market Insights, titled “Electroplating Market: Global Industry Analysis & Opportunity Assessment, 2016-2026,” projects that the global market for electroplating will incur impressive expansion in the Asia-Pacific excluding Japan (APEJ) region. Towards the close of 2026, revenues from the APEJ electroplating market are projected to surpass US$ 5 billion, exhibiting an increment at a 4.6% CAGR over the period. While the APEJ region is predicted to account for about 25% of global electroplating revenues, North America and Western Europe will continue to be at the forefront as leading regions. By 2020, North America is estimated to close in on amassing US$ 4.4 billion revenues from electroplating, while the global presence of Western Europe’s electroplating market is anticipated to suffer a dip, gradually, over the forecast period. Manufacturers of electronic products and electrical devices & components are obligated to use electroplating techniques for coherently coating metal surfaces. The rate at which electronic products are being sold in the world effectuates a robust growth in demand for electroplating services. In 2016 and beyond, more than one-third of the global electroplating revenues have been estimated to be procured from electronics & electrical industries in the world. Automotive industries have instated units dedicated for surface-coating purposes, a majority of which are expected to use electroplating methods for covering vehicles’ bodies with a layer of non-corrosive and rust-proof materials. Automotive end-use of electroplating will showcase a lucrative incremental opportunity of an estimated US$ 2.05 billion between 2016 and 2026. While volatility in the price of raw metals continues to levy an undulating impact on the growth of global electroplating market, consumers will not cease to prefer products coated with a metallic lustre of their choice. Gold is one of the most prominent metal being electroplated in multiple industrial applications. High yet fluctuating costs of gold, coupled with the growing demand for gold-plated electronic devices and wearable accessories will add nearly US$ 5 billion revenues in the global electroplating market towards the end of the assessment period. However, the demand for copper and nickel as raw metals for electroplating is projected to surge at a faster pace, reaching a combined global market value share of more than 60% through 2026. In order to churn the “mature” state of electroplating market in developed as well as developing regions, companies offering electroplating services must boost the influx of technological innovations. Companies providing electroplating services can use smart control systems to regulate the plating & processing cycles, thereby lowering emissions and saving energy during idle times. Measures as such can collectively limit the environmental imprint of electroplating services and regain the market potential which is being mapped by electroless-nickel plating and other alternative plating methods. Companies such as Kuntz Electroplating Market Inc. Interplex Holdings Pte. 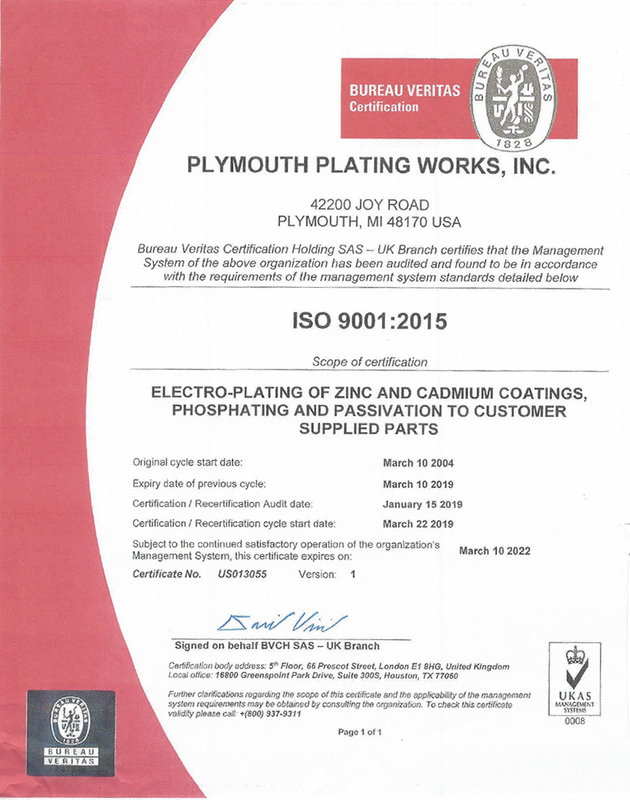 Ltd., Pioneer Metal Finishing, and Sharretts plating Co. Inc. are recognised for being leading electroplating service providers in the world. Other players in the global electroplating market, profiled in the report, include, Allied Finishing Inc., Atotech Deutschland GmbH, J & N Metal Products LLC, Bajaj Electroplaters, Peninsula Metal Fishing Inc., and Roy Metal Finishing. What is Product Line Engineering (PLE)? BigLever Software’s Dr. Paul Clements, one of the pioneers of the PLE field, explains. Product Line Engineering (PLE) is a way to engineer a portfolio of related products in an efficient manner, taking advantage of products’ similarities while managing their differences. Engineering includes all the activities involved in planning, producing, delivering, deploying, sustaining, and even retiring products. PLE considers the product line portfolio as a single entity to be managed, as opposed to a multitude of similar but separate products. By exploiting product commonality while managing variation, organizations can achieve improvements in effort, time, and quality. This enables a unified, automated approach across the entire life cycle – including engineering and operations disciplines; software, electrical, and mechanical domains; and tool ecosystems. PLE can help aerospace manufacturers deal with the tremendous complexity of managing and delivering more product diversity. Aerospace products need to support varying missions, operating environments, customer needs, and regulatory frameworks – all while providing safety and reliability. PLE represents a cost-effective, cost-efficient way to handle variations while ensuring quality and responsiveness. With the traditional, product-centric approach to handling variation, when a new system is needed that’s slightly different than systems that already exist, engineers will pick the most similar one available, copy it, make changes to it, and field it as a new system. Called clone-and-own, the practice does employ reuse but the savings occur once and only once. The new system spirals off on its own evolutionary trajectory, and ongoing savings available by exploiting commonality with the product it copied are lost. Within the traditional approach, there are techniques that engineers use to manage variation. In software, for example, there are inheritance, compile-time constants, build scripts, component-based development, etc. In requirements management, engineers often use attributes to help identify which requirements apply to which products in a product line portfolio. However, these techniques are specific to a particular type of engineering and do not provide benefits across realms. Engineers often invent their own way to describe variations or simply describe the variations through the product name; not an approach that scales either across the life cycle or as a product line grows. For instance, there are variations that an engineer is prepared to configure software for, but it’s not a central definition of what those variations are. It’s specific to that product. Likewise, with requirements, a person can set up attributes – but those attributes are product specific, so that person must look at every requirement every time a new product is added to see if it applies or not. These techniques duplicate effort and inefficiencies, create opportunities for errors, and significantly inhibit an organization’s ability to efficiently scale its product line, maintain quality, bring new products to market quickly, and meet other key goals. 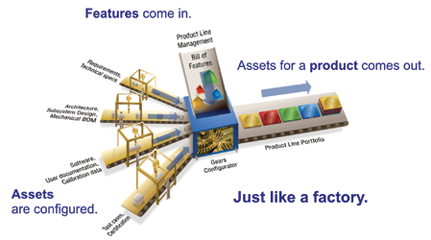 A product line engineering (PLE) factory is much like a typical manufacturing factory except that it operates on digital assets (or digital twins) rather than physical parts. language that engineering and operations domains use to capture, express, implement, and manage variation across the entire life cycle, and across the product line portfolio. The underpinning of feature-based PLE is the creation of a PLE factory – much like a typical manufacturing factory that operates on digital assets (or digital twins) rather than physical parts. The technology infrastructure for the PLE factory (see graphic, pg. 68) starts with creating a feature catalog, which defines the feature options available for all the products in the product line. 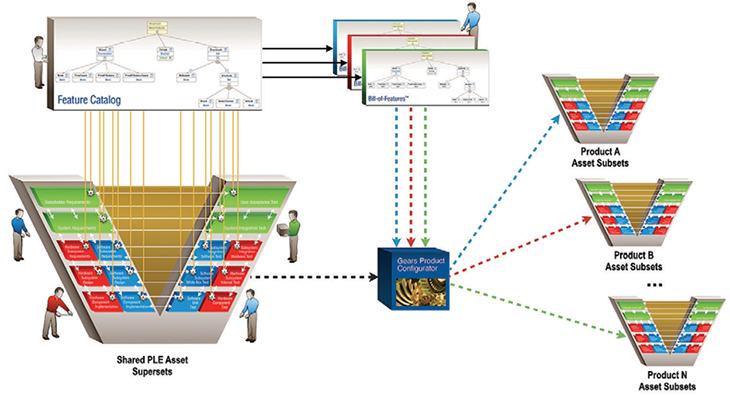 The organization then creates a superset supply chain of digital assets (see graphic, pg. 70) that are shared across the product line. Assets could be requirements, source code, bills of materials, documentation, manufacturing processes, etc. Whatever it is, it’s a superset – assets designed to be shared among different products in the product line, and never cloned-and-owned for individual products. These digital assets are equipped with all possible feature options offered in the product line and then moved into the PLE factory, where they are used to automatically produce the products based on the feature selected. The PLE factory becomes an automated production system, where new product capabilities and innovations can be incorporated into the asset supersets and shared across all the products in the product line. If a defect or problem occurs, it can be fixed once in the asset superset and quickly promulgated to all products. A benefit of feature-based PLE is its ability to manage export products. When organizations have a defined set of product line features and a superset of shared assets that can be centrally managed, it becomes easier for them to manage forbidden or proscribed product content. Lockheed Martin uses agile combined with feature-based product line engineering (PLE) for the Aegis product line. Rather than having many different programs try to figure out what they can and cannot export, all of that is taken care of – inside the PLE factory – which provides an added level of control, since it will not allow a product or system that violates constraints. 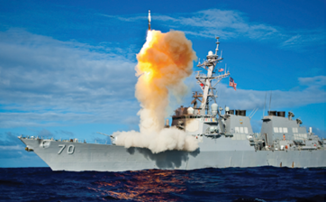 Lockheed Martin has developed a case study on this topic, termed “Auditing for prescribed content.” The U.S. Navy has also adopted this approach to help enforce export control restrictions. However, this isn’t only about export control. It’s also about intellectual property (IP) protection. Contractors want to make sure that a piece of development for one defense customer doesn’t accidentally find its way into a product for another customer. The same kind of enforcement and auditing methods can accomplish this. Export control is just a special case of IP protection – it all works the same. While PLE payoff is large, it does require a change in mindset; a shift from focusing on individual products to focusing on the product line as a whole – a mind shift that must be inculcated and institutionalized. Changing technology is easy. Changing people is hard. A successful transition to PLE starts at the top, with a clear PLE vision and business goals defined and sponsored by executive leadership. This entails creating a well-constructed business plan which captures the driving goals and funding requirements for adopting PLE. This, in turn, feeds into an adoption plan that ensures that the business goals are being addressed and refined. The adoption plan is essential for defining roles and responsibilities, setting factory-based processes, and getting management and staff trained to operate effectively within the PLE factory. Proven organizational change methods work well here, combined with an incremental PLE adoption approach that’s tailored to an organization’s goals, situation, and needs. This approach needs to empower broad-based action and produce short-term wins, which builds momentum and further speeds an organization’s transition. PLE must work in concert with existing tools across the lifecycle. That’s why BigLever created a PLE Lifecycle Framework that integrates with most engineering tools, and established a PLE Ecosystem to allow engineers to operate within the tooling environments in which they’ve become accustomed. With PLE, they can just continue to do their jobs – but in a slightly different way under the PLE factory paradigm. Regarding other development techniques, agile is popular and works well with PLE. For example, Lockheed Martin uses agile combined with feature-based PLE for the Aegis product line. The company reports cost avoidance of $47 million per year. Model-based Engineering (MBE), another paradigm that’s making huge waves right now, also operates well with PLE. A superset has assets that are specifically designed to be shared among the different products in the product line, and never cloned and owned for individual products. PLE is poised to grow rapidly in aerospace, including A&D, military, and avionics applications. It brings a level of discipline to the engineering of these very difficult, requirements-challenging systems that aligns well with the rigor these organizations need to produce successful systems. PLE has matured in the last 15 years to become much more codified, formulaic, and repeatable. Part of this codification is standardization, which brings a new level of understanding and acceptance of PLE best practices. New ISO standards for feature-based PLE are taking shape, and BigLever is taking a role in this area, working closely with the International Council on Systems Engineering (INCOSE). We expect to see the number of PLE deployments in aerospace steadily increase, along with the critical benefits that organizations realize from this approach. About the author: Dr. Paul Clements is VP of customer success at BigLever Software and can be reached at pclements@biglever.com. Cadmium can be defined as a soft, ductile, malleable, bluish-white metal. It has similar properties to that of zinc, but forms complex compounds with other metals. It is insoluble in water and not flammable in bulk; however, it burns and releases toxic fumes in the powdered form. It was discovered in 1987 in Germany. The country remained the only major producer till large deposits of these minerals were found in Asia Pacific. Cadmium is a minor component in zinc ores and is generally recovered as a byproduct from zinc concentrates. A small amount of cadmium is also recovered from spent nickel-cadmium batteries. The early uses of cadmium were restricted to corrosion resistant plating on steel. It is also used as yellow, orange, and red pigments to color glass and also to stabilize plastic. Biologically, cadmium has no known function in complex organisms, but its traces are found in marine animals in the form of anhydrase. Cadmium is employed in numerous applications; however, the production of rechargeable nickel-cadmium batteries is the most important until recent discoveries of its toxic and environmentally unfriendly nature made it less useful. Based on type, the market for cadmium can be divided into primary and secondary cadmium. Based on application, the market for cadmium can be segmented into pigment, stabilizer, alloy, batteries, coatings, and others. The market for cadmium is anticipated to witness strong growth during the forecast period owing to its numerous applications. Solar cell manufacturing can offer substantial growth to the cadmium market in the near future. Cadmium telluride is used in the manufacture of thin-film photovoltaic cells, which can be used as potential replacement for silicon-based conventional solar cells. Their usage as alternative solar energy for commercial rooftop applications and large-scale, ground-mounted utility systems can offer lucrative opportunities for the cadmium market during the forecast period. In terms of application, the batteries segment held significant share of the market in 2016. However, the segment is anticipated to expand at a sluggish pace during the forecast period. According to a survey, more than 85% of batteries comprised cadmium in 2009. However, their usage decreased owing to the advent of efficient and less toxic alternatives. Implementation of stringent government regulations on the content of cadmium in electronics is restraining the batteries segment. The European Union set a limit on cadmium content to 0.002% with some exceptions in electronics use. Besides batteries, the coatings segment held promising share of the market in 2016. The coatings segment account for almost 6% of the total cadmium production globally in 2016. Cadmium is primarily used in coating of aircraft components to reduce the corrosion of several metal components. Hydrogen embrittlement of high-strength steels is the only limitation of cadmium electroplating. Cadmium is also used in nuclear reactors, televisions, and sensors, among others. Geographically, Asia Pacific held significant share of the market in 2016. The market in the region is anticipated to witness strong growth during the forecast period. China accounted for major share of the cadmium market in Asia Pacific in 2016. It was followed by South Korea and Japan. Demand for cadmium is expected to remain high in Asia Pacific in the near future due to the presence of robust manufacturing industry, wherein cadmium is estimated to be utilized for coatings, pigments, batteries, and other uses. In terms of value and volume, the cadmium market in Asia Pacific was followed by that in Europe and North America in 2016. Germany held key share of the cadmium market in Europe in 2016.